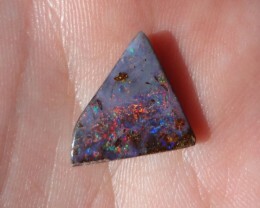 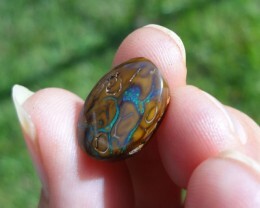 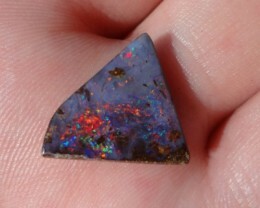 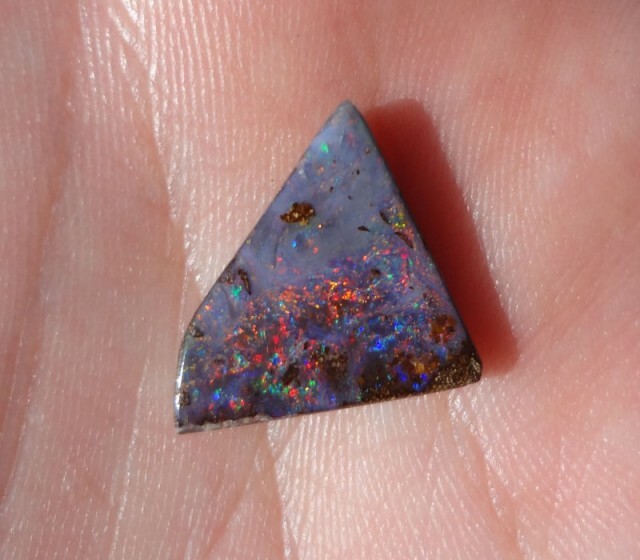 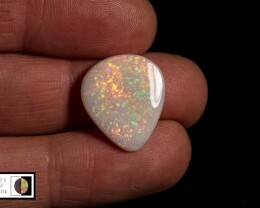 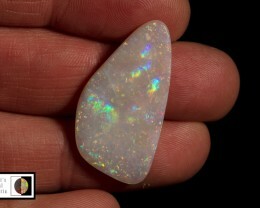 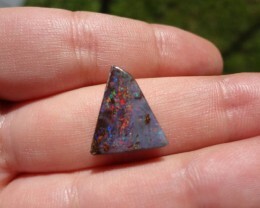 Simply stunning triangular shaped unique boulder opal from Quilpie. 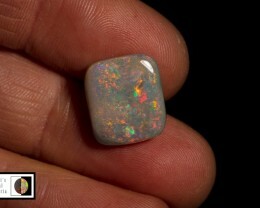 Has a beautiful multicolour fire but predominantly red fire. 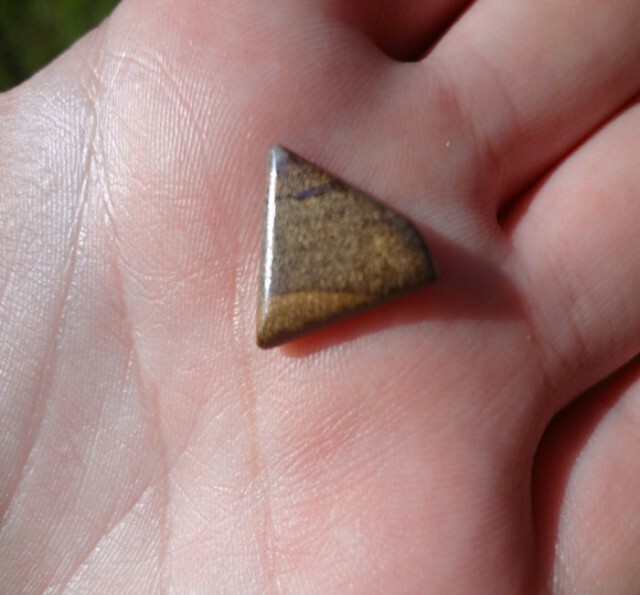 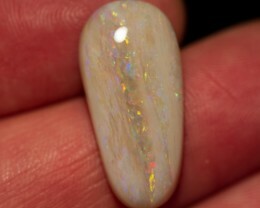 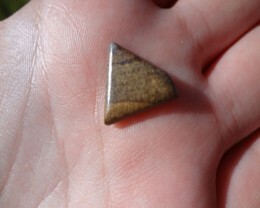 This stone has a good cut and high quality polish ready to be set into jewellery. 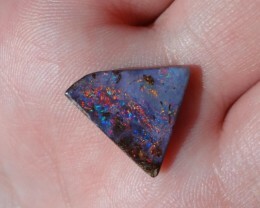 A truely gorgeous piece.